BBC staff were warned not to put cheese in the canteen toaster or risk having the building evacuated following 'an incident' last week. 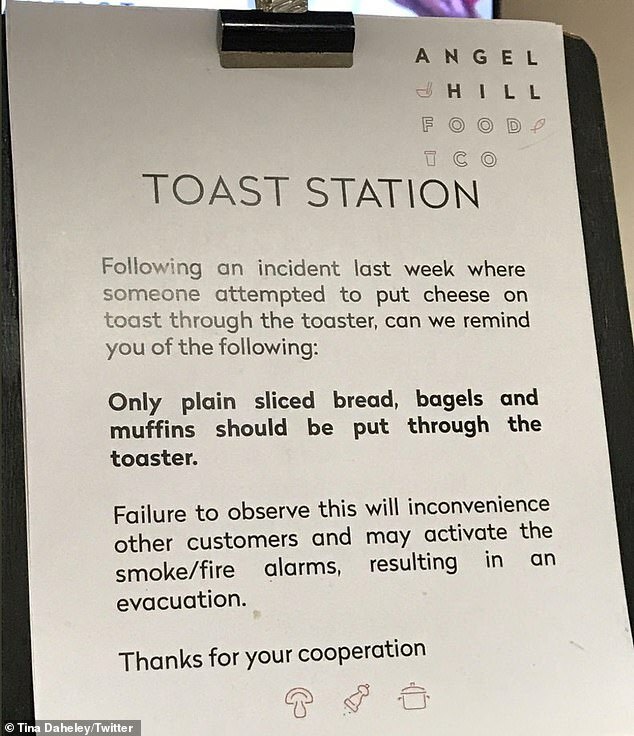 A sign put up at breakfast reminded workers 'only plain sliced bread, bagels and muffins' were to be put through the toaster. The warning comes after someone tried to make cheese and toast in the machine and nearly set off the fire alarm. The sign was tweeted by presenter and reporter Tina Daheley, who said it was from inside the BBC canteen. 'Only plain sliced bread, bagels and muffins should be put through the toaster.